Travelling alone can force us out of our comfort zone and encourage self-confidence. 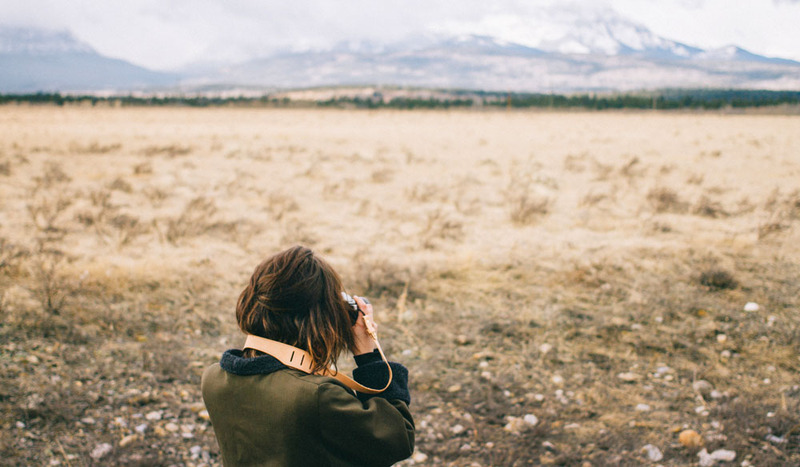 Travelling solo is a unique experience that forces you to put down the phone and embrace a new confidence. Here’s how to be your own best travel partner. I’m trying to stop my fingers from walking onto my phone screen. I know there are no more emails, new messages, or fresh Instagram posts to double tap. I know my compulsion to check in with the world is just symptomatic of being alone in 2016. Lunch for one arrives to my white-clothed table as I fight the urge to relate to something. It’s a sunny Friday and I’m alone in a new town. I’m here to enjoy myself, have a little break and explore; all the things I love about travel. But this time, I’m flying solo and I’m struggling to embrace it. The phone wins out. I pick it up and move my plate into position for its close-up. “What’s she doing? Is she taking a photo?” I hear a woman at the next table loudly whisper to her friends with bemused judgement. She throws back a coiffed head and pours Champagne down her gullet, as if my actions necessitated her drinking. My unaccompanied presence at a fancy restaurant hasn’t gone unnoticed by the lunching ladies. I self-consciously take a few snaps until it dawns on me that allowing yourself to enjoy moments like this is simply down to embracing it. So I precede with my little Instagram shoot as if I was Mario Testino and my spicy curry was Kate Moss. There is something incredibly self-affirming about doing things alone. Once you realise you’re perfectly capable of conversing with yourself (silently, I would recommend), and that the worst that can happen is some banal judgement from people irrelevant to your life, there’s simply nothing left to agonise about. By the time my coffee arrived, I felt entirely empowered and my solo weekend became pure perfection. I could do what I liked with absolute freedom. I also discovered so much more about the places I visited. Instead of hurrying in and out of shops with the usual perfunctory niceties, I stopped and chatted. I listened, I followed advice, which ultimately meant I was able to flesh out the town more. Every now and then, we need to step out of our comfort zone to force a little self-growth, and travelling alone is an enjoyable way to do that. Here are some practical tips for one. You don’t have to go far to reap the benefits of alone time. You need only go to the next city, but the best way to make it happen is to book a flight so you can’t worm your way out. You’ve got a ticket for one, you gotta go. Keep an eye on flight deals and grab one on a whim. A few days with yourself for company can be a terrifying prospect. There’s always a risk that ping-ponging ideas between Me, Myself and I will turn minor issues into full-blown panic attacks, so schedule a few activities, such as a spa day, a tour or taking a class. Don’t hide in your hotel room like the paparazzi are waiting in the lobby. If there’s a restaurant you’d love to try, ask for a seat at the bar or the pass, so you can watch the chefs at work. It’ll keep you entertained and it’s a social position for striking up conversations. Local knowledge is a resource to exploit whenever you have the opportunity. Mine those gems out in casual conversation and you could find yourself joining a sunrise yoga class, finding a market just out of town, or sun-bathing on a hidden beach. My dependence on my phone came from feeling like an imposter. I thought someone might tap me on the shoulder and politely ask me to leave. But once you decide that you belong, there’s no problem. Like most things, simply backing yourself is the answer. No matter your motivation for travelling solo, you’ll get more out of it if you remind yourself of the reason you chose to go in the first place. Set some manageable goals to keep your purpose on track, such as finishing a book, listening to that life-changing podcast, or making sure you sleep in. And enjoy it!